After a lovely 1 hour jog/walk through the park I got home to one hungry teenage child! 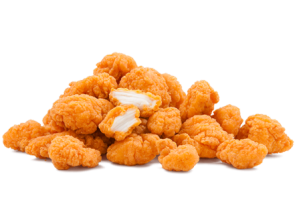 Had a quick rummage through the fridge and found half a container of popcorn chicken that had miraculously not been eaten! Out it came with some onions and garlic cloves. Chopped them all up, sautéed the onions and garlic till they started caramelizing, then added the chicken. 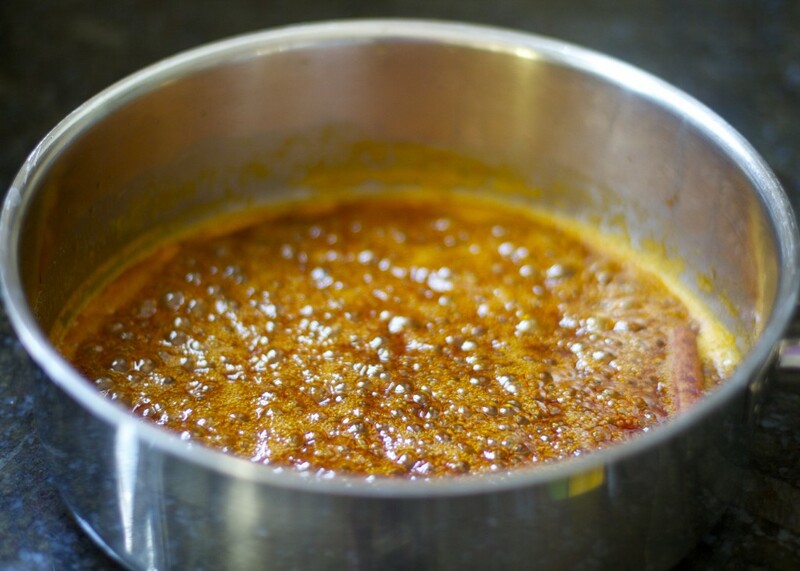 In the meantime I put together this simple tasty spicy orange sauce. Heat a pan with a splash of olive oil. Add grated ginger; sauté 1 minute, stirring constantly. Stir in chicken broth, orange marmalade, and soy sauce; bring to a boil. Cook until mixture is slightly thick. Stir in fresh lemon juice and sambal oelek. Tossed in the Chicken, Onions and Garlic for one fabulous tasty meal! 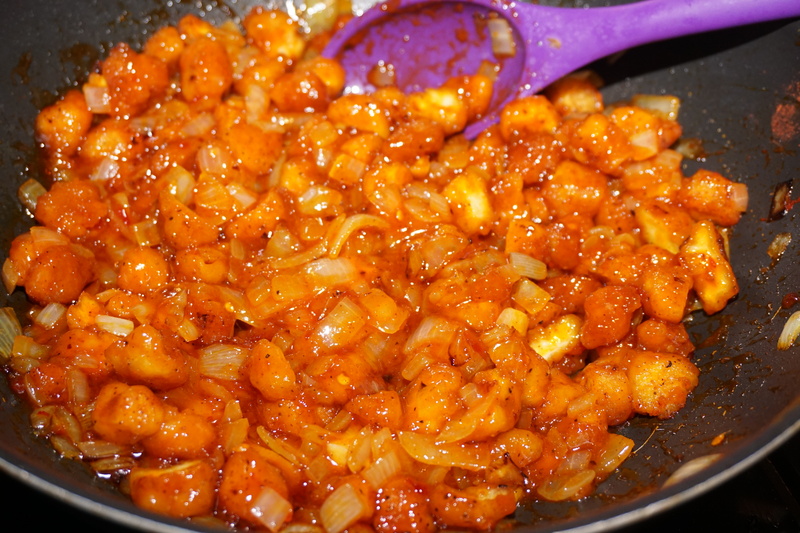 Whilst all of the above were cooking I made some jasmine rice and now we have Spicy Orange Chicken for dinner tonight! Who needs Chinese take-out? Prev Back by popular demand…….